In support of #GivingTuesday on November 27, Facebook is partnering with PayPal to match up to $7 million in donations made on Facebook to eligible US‐based 501(c)(3) nonprofits. Giving Tuesday began in 2012 as a global day of giving, fueled by the power of social media and collaboration. Following Black Friday and Cyber Monday, #GivingTuesday kicks off the charitable season when many focus on holiday and end‐of‐year giving. 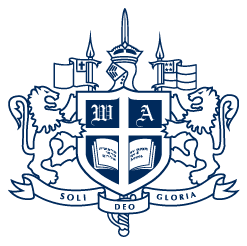 Champion Westminster Academy through your donation and take advantage of this opportunity to double your gift! But, set your alarm to donate early! The world‐wide matching gift begins at 8:00 am EST and is limited to the first $7 million given through Facebook. To ensure your gift has the opportunity for the match, it’s best to give as soon as you can!